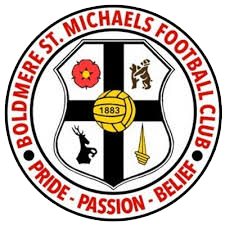 It’s a potentially season-defining game on Tuesday (kick off 7.45pm) when Khalsa host fellow Midland Football League side Boldmere St Michaels in the semi-final of the Walsall Senior Cup with the prospect of a final at the Banks’s Stadium for the winner. 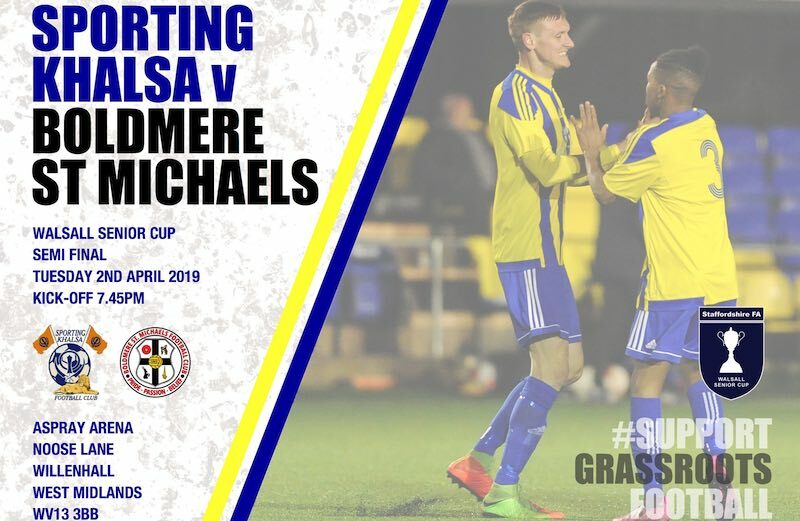 So far, Khalsa and Boldmere have swapped 2-0 wins at one another’s grounds meaning the third clash between the two will be the decider. The Mikes are having an excellent season, currently sitting in fifth place in the league, meaning they can expect to improve on their 14th place finish last season, thanks in no small part to the goalscoring exploits of Rikardo Reid, who has had two spells at the Aspray Arena. Their most recent result was a disappointing 3-2 home defeat to lowly Dunkirk which saw the visitors come from 2-1 down to grab a winner in injury time. Two of Boldmere’s line-up have spent time at Sporting Khalsa. The aforementioned Rikardo Reid had two short spells at the club while winger Luke Shearer also had a couple of spells with the club.